Over the last 12-18 months I've switched my skincare around quite a bit. Being in my 40's I really need to be using products that work and produce results, not just surface results but deep down in the skin kinda results! Everything I buy seems to have the words 'anti-aging' slapped all over them these days *sigh* but there's no getting away from it, I'm getting old! 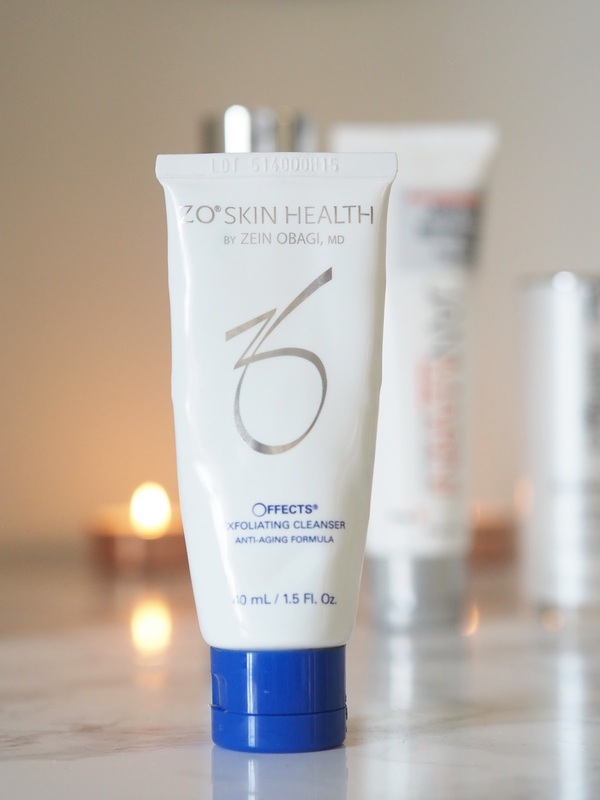 The brand I'm using most at the moment is ZO skin health, created by Dr Zein Obagi. This range can be tailored to meet your own specific needs and delivers clinically proven results. I'm mixing it with other brands that I am currently using up at the minute and it all works well together. A lot of products on the market, and from well known brands will help the skin to look good BUT only on the surface, they're not getting down into the deeper layers of the skin where it's really needed and where it will help make a difference. That's why I switched to cosmeceuticals, my skin needs ALL the help! I start my morning routine with a gentle cleanse using the ZO Offects exfoliating cleanser. An exfoliating cleanser is great during the winter months to give extra help with budging that pesky dead skin that sits on the surface. I also add in my twice weekly regular exfoliation with the ZO Offects polish. This cleanser is a wash off one and I'm not too keen on those if I'm being honest, they're too messy for my liking, but it came in my starter kit so I'm going to finish it and then I'll find something else for my morning cleanse. If you like a wash off cleanser this may be a good one for you if you tend to have more oily skin as it exfoliates and targets excess oil, it also contains encapsulated vitamin E which is a great antioxidant. If you lean towards more of a dry skin, which a lot of us do as we age they have a hydrating wash off cleanser too. 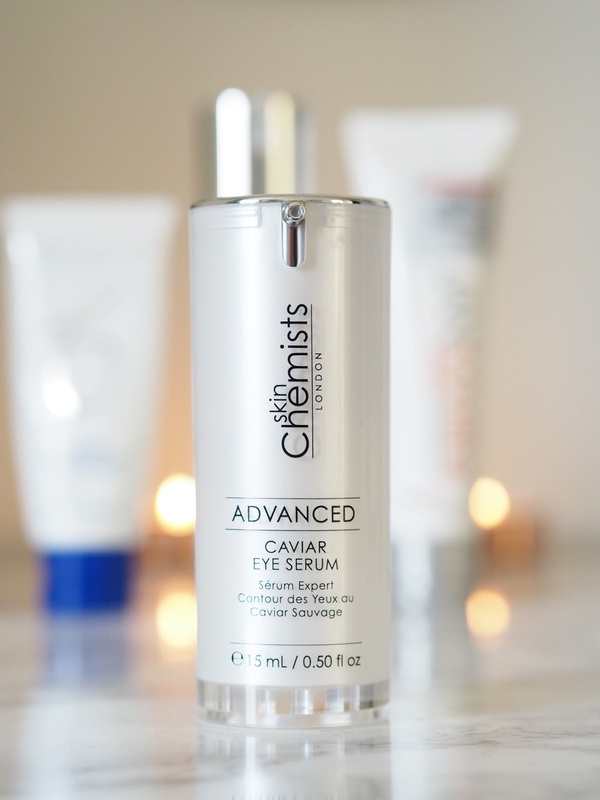 Step 2 in my morning routine is my eye product and I'm currently using the Caviar eye serum from SkinChemists (review here). My eye area is my most problematic and I hate the wrinkles I have with a passion!!! This helps a lot with moisture and that's what you need for the oh so delicate dryer skin around the eyes. It's also cooling and absorbs really well leaving no tackiness so I find there's no problem applying any eye make up afterwards. 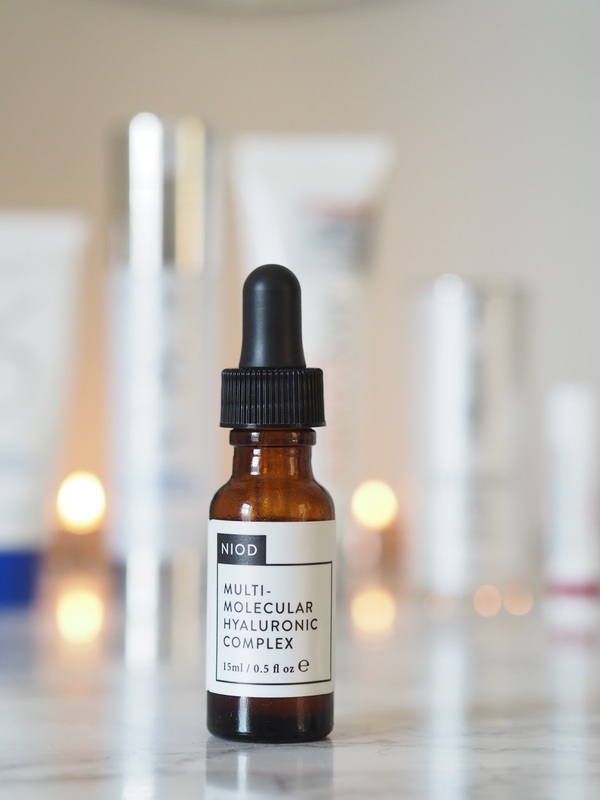 I'll then apply my daytime serum which is currently the NIOD multi-molecular hyaluronic complex. I got this one in a beauty box and I have to say I'm not overly thrilled with it. Application is quite messy as it's very thin and uses a pipette to dispense. You can't put the drops onto your fingertips as it's so thin it just runs off and you loose it all so I put it in the palm of my hand and then apply. Too much of a faff for me sadly, I like simple things, and in all honestly I can't say that it's doing much for my skin and I'm more or less at the end of the bottle. Definitely not a repurchase. 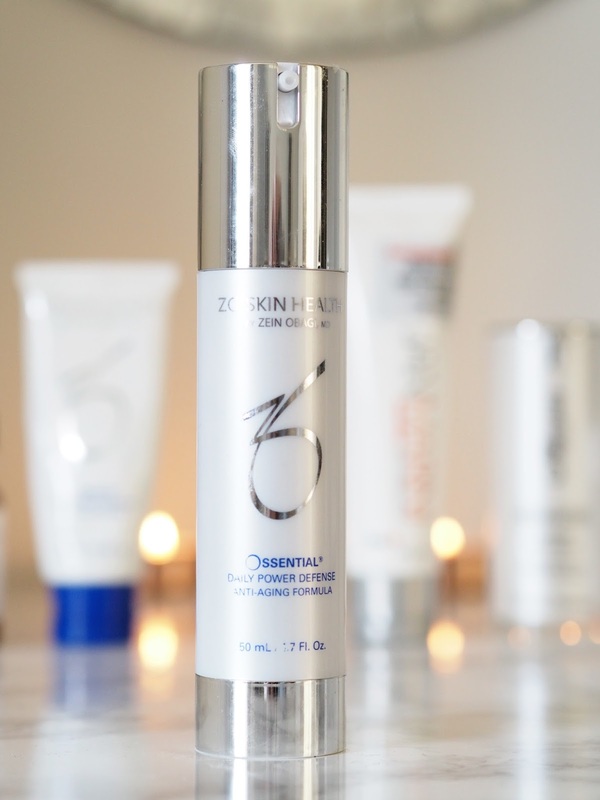 Moving on to moisturiser with the ZO skin health Ossential daily power defense. My rapidly ageing skin loves this and I can't see me stopping using it any time soon. It's not heavy in any way but gives my skin the nourishment it needs whilst working hard throughout the day too with time-release retinol and antioxidants to repair and protect. My makeup sits on top of this beautifully. Last but not least for my skin is my sun protection. I'll hold my hands up and say this was never included in my daily routine up until recently. Back in the day the only time I slapped suncream on my face was when I went abroad for my annual hols as it just wasn't talked about quite so much then. These days we all know the importance of protection with a lot of make up now including SPF and it now forms part of my daily routine, it can't get rid of the lines and wrinkles I've already got but it'll help slow down any others, so listen up youngsters slap on that sun protection even during winter!! In the winter months I'll use a SPF30 and in the summer months ramp it up to a factor 50. This Jan Marini one is okay but for some reason I'm getting a bit of roll-off with it. I'm on the hunt for a new factor 50 for the summer so any suggestions be a good'un and let me know. Finally, after all that I'll finish off my morning routine with some balm for my lips. 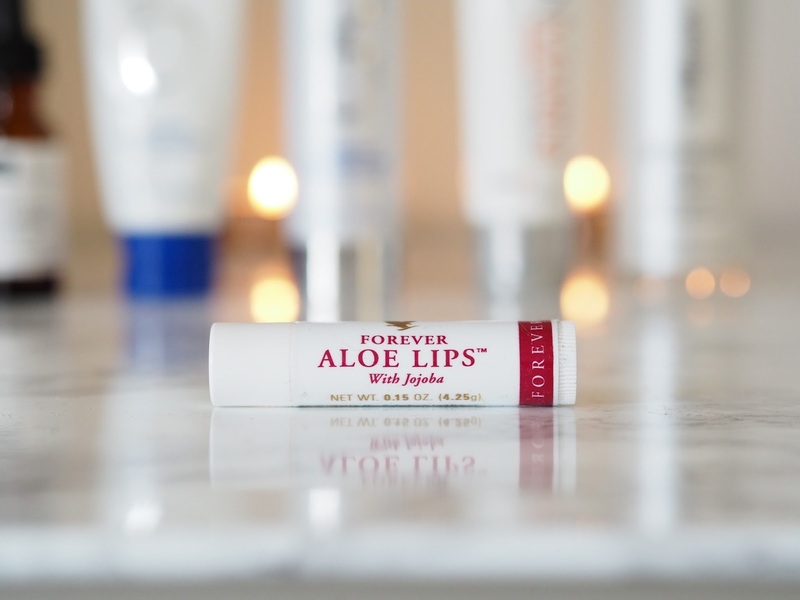 As you may know I suffer with really dry, flaky lips and have tried so many on the market with not much success. Until now. Someone I know through blogging and subsequent FB chats sent me one of the Forever Aloe lip balms to try. I've never looked back and I cannot be without one by my side. This little stick hydrates my lips like no other, it's a clear balm but gives a nice subtle clear gloss finish which is an added bonus. The problem is I get through them so quick, I'm on my third order already! I genuinely hope they NEVER stop making these. So, there you have it, my winter skin saviours for daytime. 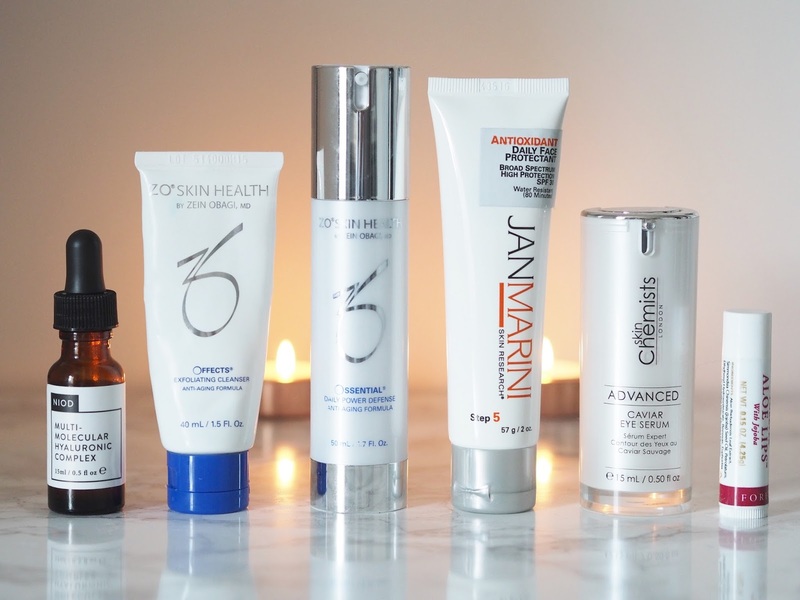 Whist I know some of these products aren't the cheapest I personally feel it's worth investing that bit more to get the best results for your skin and as we get older we need skincare that works really hard for us. Don't skimp, go for the best you can afford. Now, all that's left to do is find another hour to put on my make-up! What products are your winter skin saviours? Any top tips? I've used a lot of these products too! Interestingly, I didn't get on with the ZO cleanser at all, I found it far too drying. 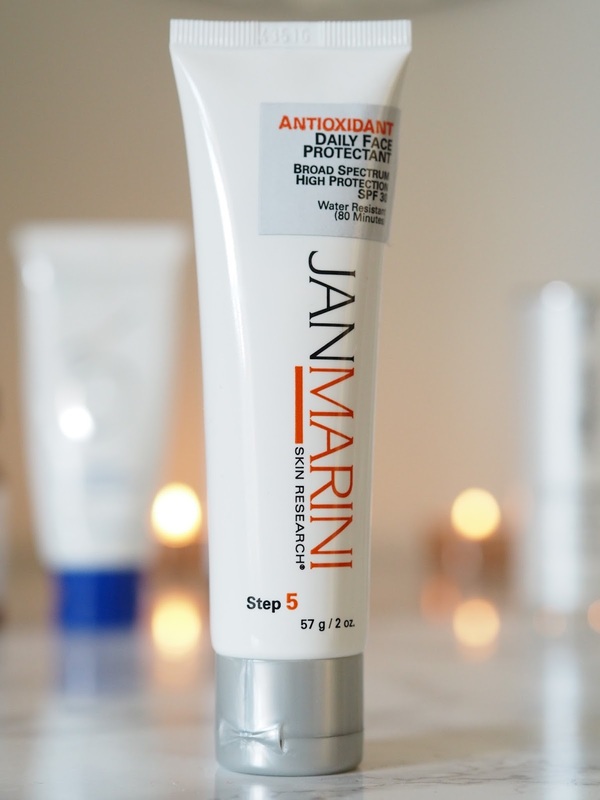 I like the Jan Marnini face protectant a lot but if you are looking for another high SPF product then I would recommend Elizabeth Arden Prevage City Smart. It goes on really smoothly and has a much thinner texture than you usually get with SPF50. Daily sun screen all year round is the thing that makes a difference in the long run - don't forget to put some on the back of your hands as well. Where do you get the zo range from? Where can you get the zo skin range from?